“You had to go here for marketer intelligence, here for builder outreach, here for graphics you can use,” says the director of external communications at PERC. And that’s just three. PERC was managing 10 web properties before council leaders decided over a year ago to undertake a digital transformation that would help shape a new consumer education program. A key part of that transformation: consolidating those 10 web properties into one website (propane.com) to serve as the hub that powers PERC. In explaining to the Colorado and New Mexico propane gas associations last year that PERC had planned a project that would lead to a single website, Walker received applause from members. PERC went live with the revamped website two weeks before the new year and almost a year after it first considered making such a change. It needed time to address aging architecture behind its websites and a content management system that was no longer supported by its vendor. 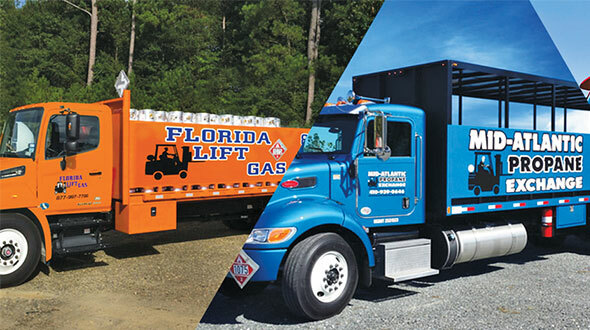 PERC chose to consolidate its digital properties, build out the propane brand and theme, and create corresponding materials and tools to accompany the effort. Doing so would help pave the way for a new consumer education program, which was given the go-ahead at PERC’s July 2018 meeting. The council often talks about reaching two important audiences: end-use consumers and business-to-business professionals, the latter group composed, for example, of homebuilders, plumbers, HVAC contractors, realtors and vehicle fleet managers. PERC has sought to integrate its communications to these groups with consistent brand messages about the benefits of propane. 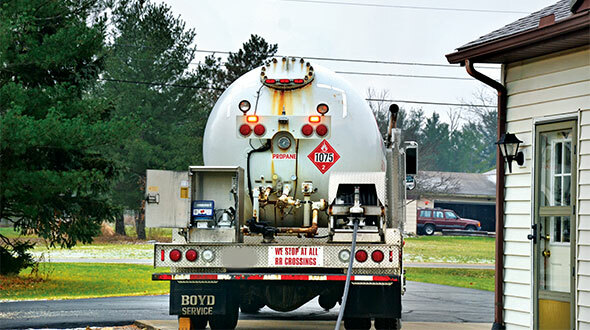 Prior to the project launch, PERC’s effort was geared toward addressing public perceptions of propane through its national “Blue the Dog” campaign, which was met with mixed reactions from the industry. While council leaders say the two-year residentially focused campaign succeeded by improving those perceptions, it came at a high financial cost ($10 million and $8 million in the two years, respectively), and its impact on gallon growth for the industry was difficult to measure. Perkins says most people looking to buy, build or remodel their homes today are starting their searches online. A desire to get in front of this group and target a specific audience close to making an energy decision led PERC to adopt a digitally dominant strategy. 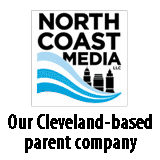 At its July 2018 meeting, the council approved a $3.1 million funding request for the homeowner portion of its integrated marketing communications plan, with $2.1 million for the media buy. Among the first steps: Revamp the propane.com website to make it an educational and resourceful place for those seeking more information about propane. The goal, Perkins says, is to attract that web audience, hold them, inform them and motivate them to find a propane marketer through a Google Search function. This is possible by clicking a “Where to Buy” button on the website. Unlike the Blue campaign, which gained national exposure on television and in movie theaters, the industry’s latest consumer education initiative isn’t quite so visible. That’s because much of the work is being done behind the digital scenes, with advertisements reaching people who are visiting a specific set of websites and searching for specific terms. For example, anyone spending time on house plan websites or searching for water heaters on homedepot.com or lowes.com may receive messages about propane. With the help of primary project partner Swanson Russell on the digital techniques used in the campaign, PERC is targeting people in specific zip codes across the country, in places where they are most likely to buy, build or remodel their homes, or consider propane-fueled appliances. 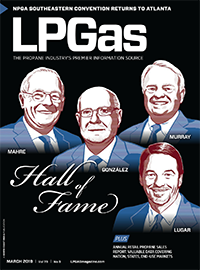 Not lost on PERC is the role propane marketers and state associations will play in the consumer outreach program. Perkins advises marketers to register for an account on propane.com. By clicking on the “For Propane Providers” link at the top, marketers will find a host of related materials and tools that can be used at their businesses. This includes toolkits that help them tie into the campaign, with options such as bill stuffers, door hangers, print ads, digital ads, and television and radio spots. In its project description, PERC cites marketer readiness as a potential challenge in pushing its message out to homeowners; marketers need to be ready to follow up with leads. 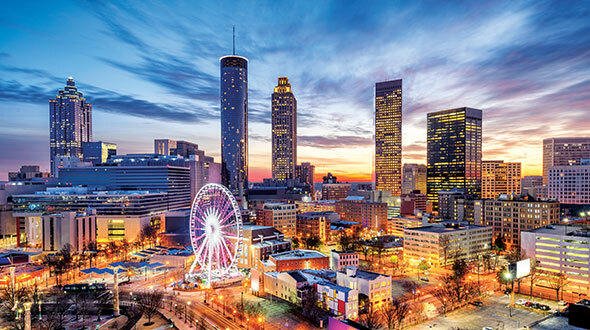 Council leaders plan to visit with marketers about the campaign during April’s NPGA Southeastern Convention & International Propane Expo in Atlanta. In addition to the residential consumer market, PERC is using its integrated approach to reach other key audiences, such as those business professionals working in the agricultural and commercial sectors, and with vehicle fleets, for example. A key theme in the integrated campaign is “Propane Can Do That,” a slogan with roots for PERC in the agricultural market. Cinch Munson, senior vice president of business development, tested the theme for a year in the ag space before PERC decided to expand its use across markets, Perkins says. “All of the markets will begin to see parts of a digital strategy built around ‘Propane Can Do That,’” Perkins adds. Perkins explains the strategic nature of the theme by using it in specific market examples. For a builder: Do you want to please your customers with comfort and low monthly bills? For a consumer: Do you want to be comfortable in your home and have the best heat money can buy? 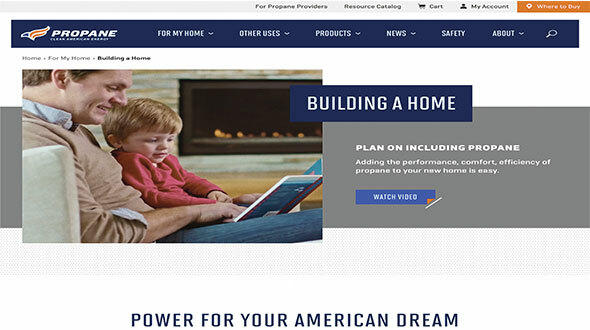 The campaign, designed to share the “Propane Can Do That” theme and “Propane Clean American Energy” brand across all PERC communications programs, will offer a host of engagement metrics, Perkins says. The digital nature of the campaign will allow PERC to track website and online search data more easily, especially when compared to its previous program with Blue the Dog. “Did we bring them to propane.com, hold them there and cause them to contact a propane marketer?” Perkins says in describing the underlying goal of the campaign. The council in February approved a $330,000 funding request to carry out the next phase of its digital strategy. This includes enhancing the user experience and updating 22 websites that PERC manages for state associations. 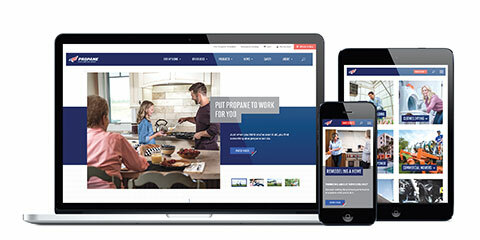 PERC’s redesigned propane.com flagship website includes many key features for propane marketers. Ingrid Bechard, director of market communications, shares some of hers. 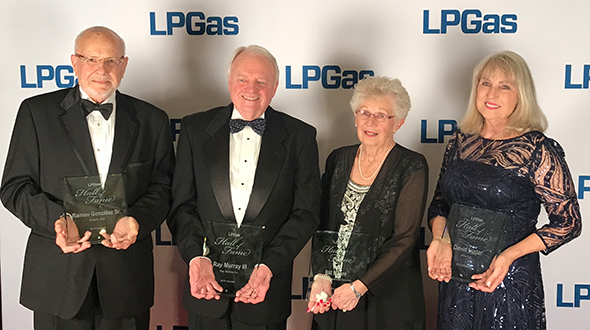 “I love seeing the videos in the marquees – they’re telling a good propane story – but I spend a lot of time in the Propane Provider section. This is the old propanecouncil.org. I like how we’ve organized that information. We’re thinking about what a marketer would want or need, or how to make that process easier.” Bechard notes other features of the site: easier downloads and bookmark abilities, tools to grow your business, a learning center, safety videos, newsletter archives and a universal help desk. The site also houses PERC’s Resource Catalog of marketing materials for use by the propane industry.